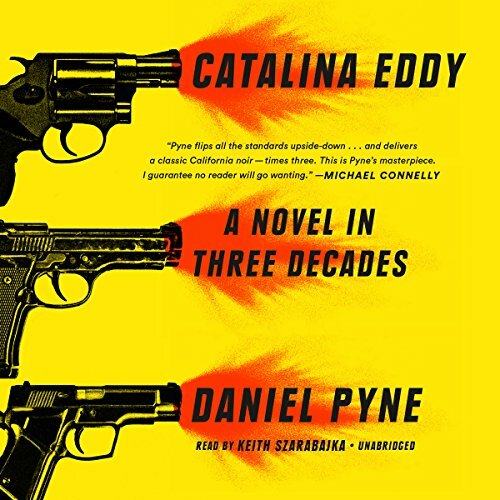 Showing results by author "Daniel Pyne"
A collection of three loosely connected crime novellas, each set in a distinct era, Catalina Eddy is a gritty, hard-boiled exploration into the immutable police underworld of Southern California. Reminiscent of James Ellroy's grittiness and Raymond Chandler's dark wit, Catalina Eddy is Daniel Pyne's clever homage to - and skillful deconstruction of - traditional noir storytelling. Moody, enthralling, and keenly imagined, Catalina Eddy evokes the characters and ambiance of a singular, peculiar landscape with cinematic flair.